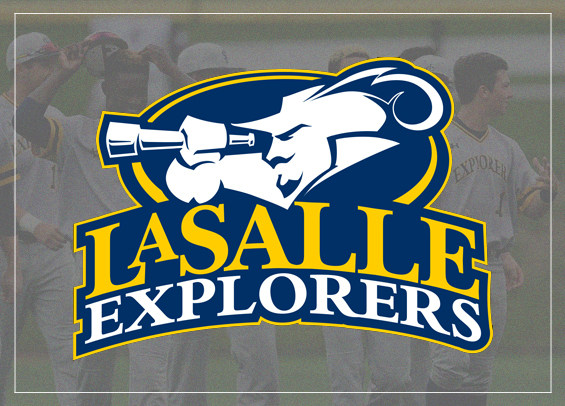 One of the most intriguing storylines in all of college baseball this season will center around the work of La Salle head coach David Miller and his efforts to elevate the Explorers from the throes of baseball purgatory. It's a tough task, but the second-year head coach is ambitious and comes from a culture of winning as a former player at perennial ACC powerhouse Clemson. If there's someone that can alter the culture of a program that hasn't pieced together a winning season in seven years, it's him. The Explorers finished 14-41 last season, winning just four of 24 conference contests and dropping 16 straight to end the year. This year though, the program looks to rebuild with a deep infusion of youth throughout the roster. "If we follow the Sixers protocol and 'trust the process', then within two to three years this team should be one of the best in the A-10," Miller said. Highlighting the returning roster is senior first baseman Ben Faso. The Media, Pa. native was named Offensive Player of the Year by the Philadelphia Baseball Review last season after putting together some monster numbers including a .347 average to go along with 36 RBIs and a .468 slugging percentage. "Ben can flat out hit," Miller said. "If he, along with Ryan Guckin and Peyton Sorrels, can take the leadership role from the offensive standpoint at the top of the order and help groom these freshmen to not feel too much pressure, then we can put the younger guys at the bottom and not ask them to do too much too soon." Behind Faso, the Explorers plan to rely on an exceptional incoming freshmen class that includes several local additions, including right-hander Chuck Kelley who was Catholic League MVP out of Father Judge High School, and outfielder Nick Di Vietro from Cherry Hill West High School. Miller's crop of signees didn't go unnoticed, touted as the best in the Atlantic 10 Conference and the 73rd best in the nation by Perfect Game. Several of those new additions, including third baseman Nick O'Day and right-hander Aidan Frye, could make meaningful contributions to the Explorers this season. "With this freshman class, you have a lot of high-end players coming in from around the area," Miller said. "You have Nick O'Day who was a TCU commit as an eighth grader and Aiden Frye, who in my last year at Penn Charter when we finished 26-2, gave us our only two losses." O'Day, a Perfect Game Preseason Honorable Mention All-American while at Bishop Shanahan, is expected to hit in the middle of the order while Frye, a control artist who sits in the low-90s, will open the season with a top spot in the Explorers' rotation. "There are expectations, but you have to remember these kids are young, they're 18 years old, and this isn't high school baseball anymore," Miller said. "Will there be growing pains? I'm going to say most likely, but if we can incorporate some of this young talent these guys can slowly ease their way into this game and could legitimately win 30 to 35 games in year one. That said, I also can't expect seven or eight freshmen to go out on the field and be the Fab Five of baseball, it's just not going to be that way." Miller has high aspirations for the La Salle program. He, along with his coaching and recruiting staff, have already shown they can woo new talent and keep them local at the D-1 level. "I don't want to be just a good northeast team," Miller said. "I want to be a team that can get the local Philly, Jersey, Delaware guys to say they want to play at La Salle. I want this team to a regional contender every year, to point where hosting regionals isn't out of the question and where a visit to the College World Series isn't out of the question. If I don't think like that, it's just not going to happen." The Explorers open the 2019 season this Friday with a three-game series at Charleston Southern in South Carolina. The club opens the home portion of their schedule with a doubleheader against Albany on March 2.